Scarlet fever is a contagious infection that mostly affects young children. It's easily treated with antibiotics. The first signs of scarlet fever can be flu-like symptoms, including a high temperature of 38C or above and swollen neck glands (large lump on the side of your neck). A rash appears a few days later. The symptoms are the same for children and adults, although scarlet fever is much rarer in adults. Scarlet fever is very infectious. Check with the GP before you go in. They may suggest a phone consultation. Your GP will prescribe antibiotics. These don't cure scarlet fever, but they will help you get better quicker. They also reduce the risk of serious illnesses, such as pneumonia. It's important to keep taking antibiotics until they're finished, even when you feel better. 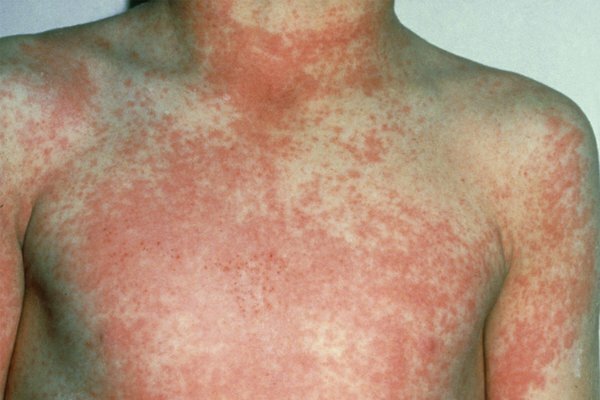 Scarlet fever lasts for around a week. In the past, scarlet fever was a serious illness, but antibiotics mean it's now less common and easier to treat. Cases of scarlet fever have increased in recent years. Public Health England records the number of scarlet fever infections each year. People with the skin condition impetigo are more likely to get complications. There's no evidence to suggest that getting scarlet fever during pregnancy will harm your baby. But it can make you feel unwell, so it's best to avoid close contact with anyone who has it. Contact your GP if you do get symptoms. The antibiotics used for scarlet fever are usually safe to take during pregnancy. 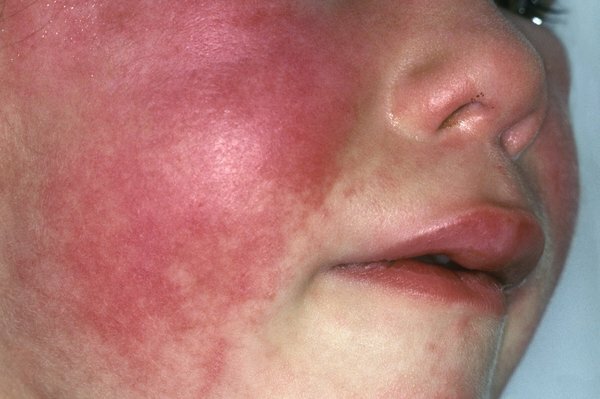 Scarlet fever is very infectious and can easily spread to other people.